Lica Ibarra, 32, heads the new and intimate Poblacion hotspot ABKD X Ñ. What naturally comes with the evolution of Poblacion’s scene, amid the prevailing images of watering holes and late-night spots, is its realization as a destination for all kinds of gastronome. As a downtown area where famous streets are occupied by the more common picture of Poblacion, a bustling city center and red light district, on its side streets sprout new, more experimental, even laid-back faces entering its microcosm. Among that is ABKD X Ñ along Alfonso Street, headed by Lica Ibarra of MasterChef Asia Season 1 fame. “Poblacion is very diverse and, I would say, there’s always a spot for everyone. It’s a good place for our concept because everyone here feels like they’re just your neighbors. They don’t feel like competition, the restaurants, the other establishments… they really don’t feel like they’re competition,” Lica says, mentioning businesses like The Wild Poppy, The Smokeyard, and Agimat. Back then, I always asked myself, 10 years from now, is this where I want to be? This diversity comes with the nature of the location, where entrepreneurs can still afford to delve into their niche concepts while serving a viable market; one of the upsides of Poblacion’s gentrification. 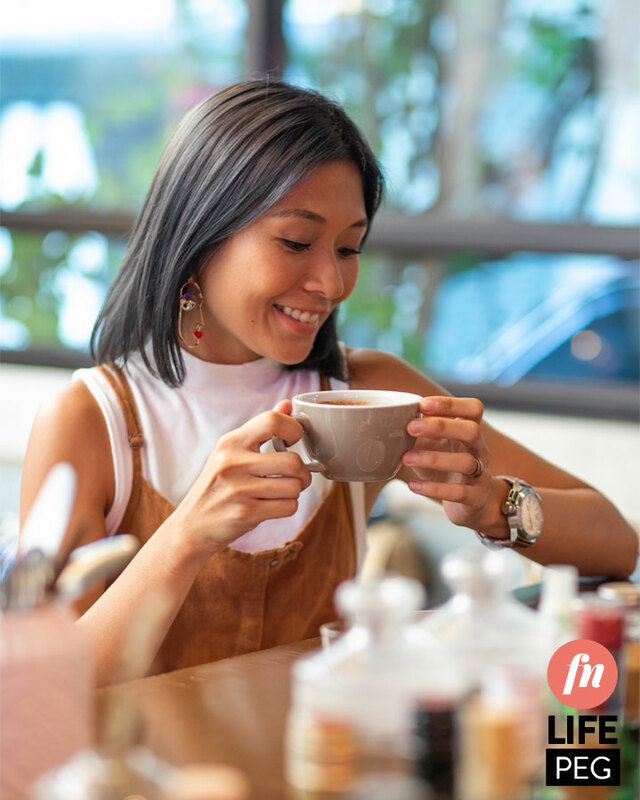 Here, business people like Lica find the ideal spot where exploring and discovering passions can unabashedly be the main driving forces of their ventures. And it’s exactly the location needed to nurture Lica’s personal journey into culinary arts. “Before I was in the kitchen, I was actually in a bank. It was a huge career change. Back then, I always asked myself, 10 years from now, is this where I want to be? And in the bank, the answer (was) always no; I always wanted to be in the kitchen ever since I was younger. My parents wanted me to take a business course. I took economics. But then my dreams won,” shares Lica. Falling in love with food and cooking as young as she was eight, she says that food is what she is truly passionate about. Understanding and challenging taste, maximizing simple ingredients, and exploring local products excite her. 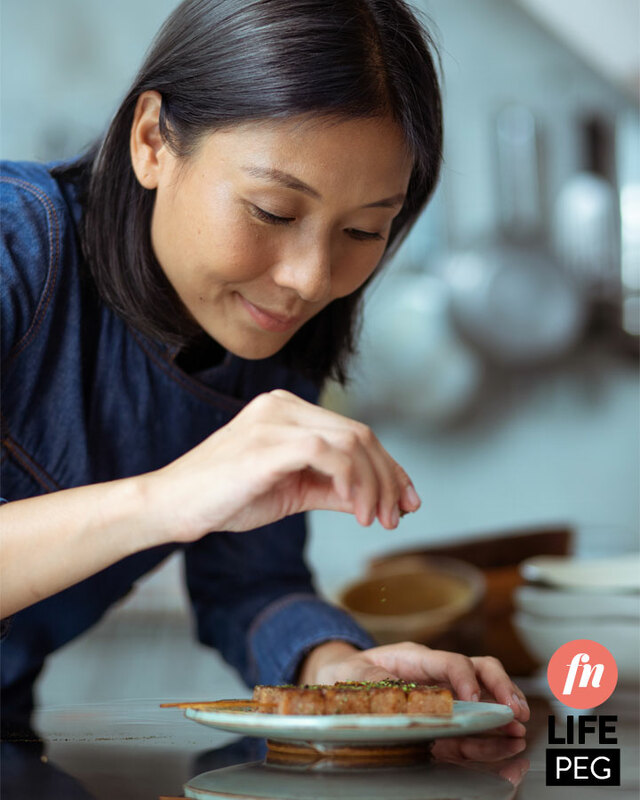 In time, she developed her own brand in cooking, where Filipino cuisine blends with classical techniques. Having opened ABKD X Ñ just February this year, already, her creations are taking centerstage in Poblacion’s foodie scene. The ABKD Toast blends familiar flavors despite the ingenious mix of an open-faced toast with salmon, ricotta, and truffle honey. Nokal Fried Chicken & Waffle is a comforting dish of fried goodness made with barley and a flavorful red pepper jam. MNL Clam Chowder’s Asian roots make it an instant nostalgic favorite. And Wagyu Sticks, a best seller, has become the go-to bar chow for the meat’s marinade and seasonings. When I joined the show it was a really huge stepping stone. It was a very good opportunity for me to follow my dream and pursue my career in the kitchen. Arriving at such novel yet familiar and simple concoctions is a product of experience. Despite having no inclination to relive the corporate days, Lica thanks the discipline she learned from that industry. 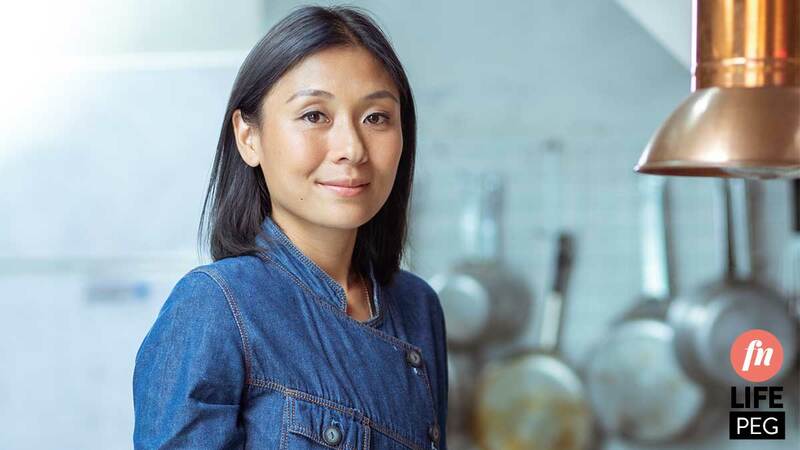 “The corporate world taught me how to incorporate the business side of the F&B world, and it helped me become more systematic in the kitchen,” she relates. 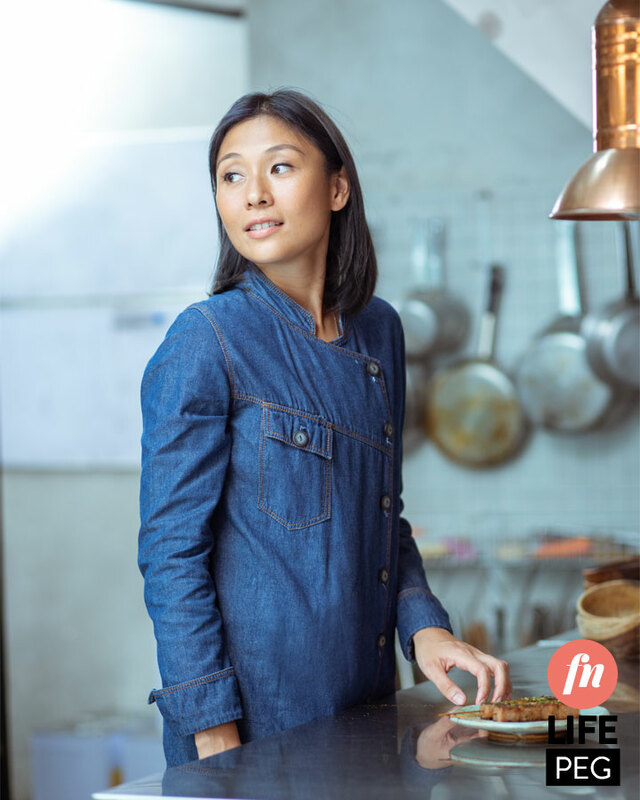 But more than that, it’s her gumption to join MasterChef Asia in 2015 that opened the doors for her. Prior to ABKD, Lica was the executive chef of BGC's Kartilya. "It was stressful yet very fulfilling. It was a good kind of stress. I’d choose it anytime over corporate." “It really started with the show MasterChef Asia. When I joined the show it was a really huge stepping stone. It was a very good opportunity for me to follow my dream and pursue my career in the kitchen. The pressure was real! It is only now that I’m starting my culinary degree but the show taught me how to have the right attitude and mindset in the kitchen,” she points out. Auditioning for the show, despite having no technical background in culinary arts, was worth the shot, as she thought that she wouldn’t lose anything if she did. A year after finishing ninth on the show, she worked with Kartilya as its Executive Chef. The now defunct restaurant in Bonifacio Global City served up classic dishes she grew up with presented with a twist, such as the Arroz Caldo ala Risotto, Bistek Tagalog Ribeye Steak, and the Quezo De Bola Bibingka Souffle. After her stint with Kartilya, Lica continued to explore her flair in concocting newfound flavors without the restrains of culinary and cuisine-centric definitions. This is how ABKD X Ñ, her brainchild, was born. “[Establishing this restaurant] is really about going back to my roots. That’s also what ABKD is about. The name ABKD, it’s actually from the old alphabet of the Philippines. The first few letters. So, going through your ABCs, going through your roots,” Lica explains. What was fashioned from this search is a cafe-bar panaderia serving Filipino-inspired eclectic comfort food and drinks. Her soul search goes all the way back, to when she was a little girl helping her mother and grandmother in the kitchen—memories embraced in simplicity and affection, a time that pulls her back to how she fell in love with food. 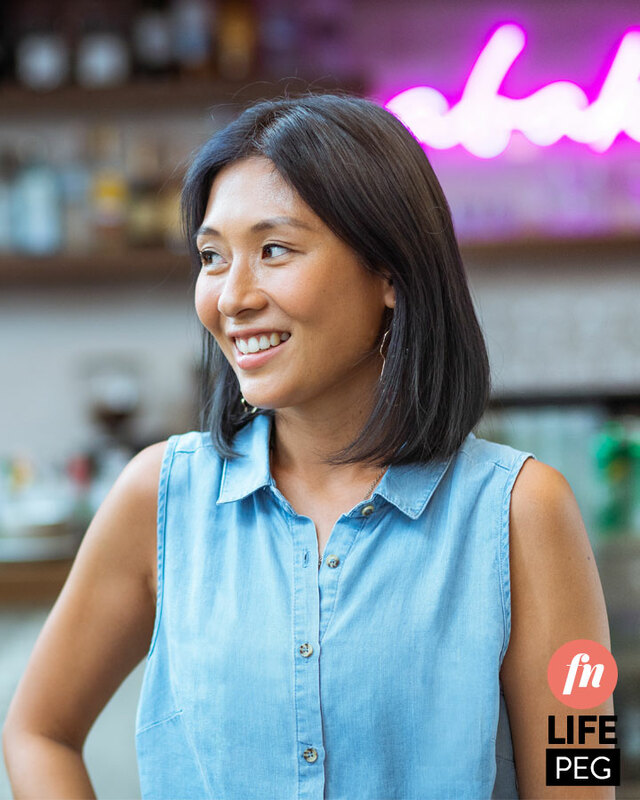 Having the control over what to convey from personal penchants and passions allows Lica, and other likeminded entrepreneurs, to take root and actually flourish in a place like Poblacion. As a result, the location has become the go-to destination for those looking for the unique and innovative. Lica’s vision and her pursuit of it imparts to Poblacion’s unbleached progress. And there’s so much more to look forward to from the dreamers that found their homes in this place.